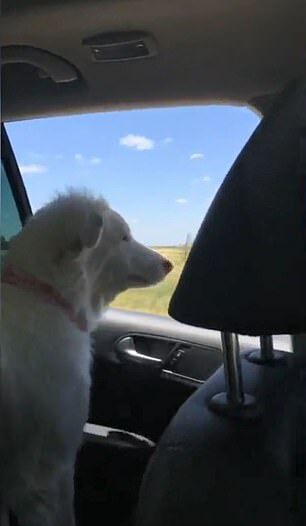 A silly canine was caught on camera trying to take a bite out of passing motor vehicles from its perch inside another car. 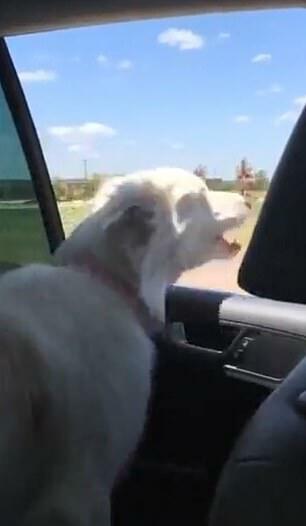 Pearl, an Australian Shepherd, attempted to make a snack out of the blurry cars traveling in the opposite direction on an Oklahoma road last summer, according to a post on Newsflare. Five more cars flash by in quick succession as Pearl snaps her jaws at each of them, rapid fire, as the same woman’s voice begins to laugh. Two more cars get the same treatment from the dog’s flashing teeth before the video recycles back to the beginning to show off the animal’s antics two more times.